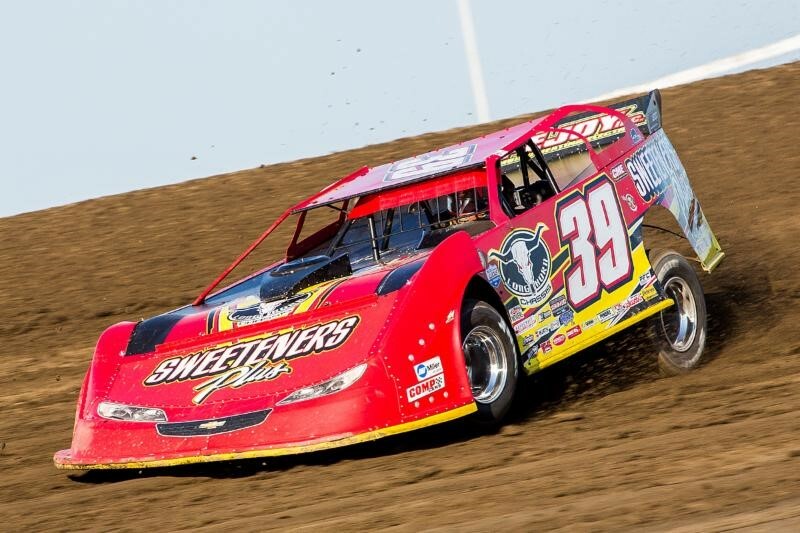 TOLEDO, Ohio (July 11, 2016) – Cunningham Motorsports had a pretty good eye when they scoped out Chase Briscoe and ultimately scooped him out of the sprint car ranks and put him in one of the team’s stock cars. Any way you shake it, it was a risk to put an untried, inexperienced and unfunded sprint car driver in the seat of the 77. But, as it turns it, it was a pretty darn good move on the chess board and on the part of Cunningham co-owners Briggs Cunningham and Kerry Scherer. And it all comes full circle in a couple weeks when the ARCA Racing Series presented by Menards returns to Lucas Oil Raceway for the Sioux Chief PowerPEX® 200 presented by Jive coming July 22. Lucas Oil is where Briscoe made his ARCA Racing Series debut in 2015. Driving a fourth Cunningham car, Briscoe finished 10th. If he didn’t set the world on fire in his first attempt, Cunningham took another chance with him at Salem where he finished fifth. Enter 2016 where Briscoe has become the talk of the town as he continues to pad his point lead after winning Saturday night’s ABC Supply 150 at Iowa Speedway, a track he had only known from an iRacing computer game. “Fortunately, Iowa Speedway is just like it is on iRacing,” Briscoe said in the Iowa Media Center after the race. For the most part, that’s been Briscoe’s situation just about everywhere on tour – the task of having to figure out tracks on the fly. Briscoe struggled in the early going at Iowa, but once the Mitchell, Indiana rookie found his groove, he drove away from the field to win his second consecutive ARCA race. 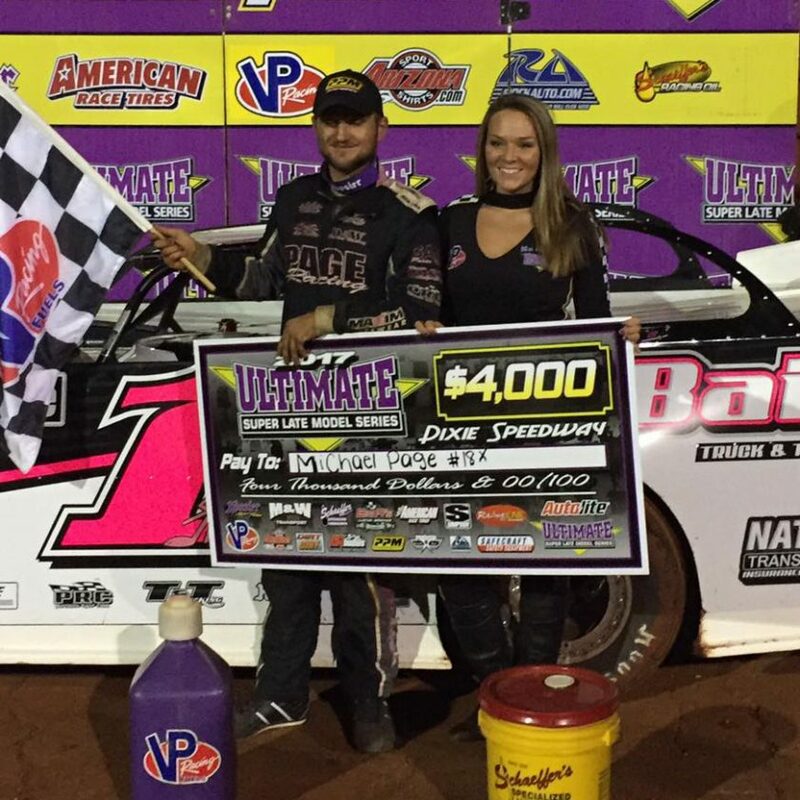 Briscoe is now the second repeat winner in 2016, joining only Josh Williams, who won at Nashville and Madison. Briscoe’s Cunningham Motorsports teammate at Iowa, Myatt Snider, who won in his ARCA debut at Toledo in mid-May, was also impressive in his Iowa debut, finishing fifth the No. 22 Original Louisiana Hot Sauce Ford after struggling in practice. Snider was 11th on the practice chart at Iowa and then qualified 10th. He quickly picked up three positions, but then fell back out of the top-10. After going a lap down, Snider got back on the lead lap with a Free Pass with 20 laps remaining and raced way to fifth at the checkered flag. Briscoe and Snider will be teammates again in the next race at Lucas Oil Raceway Brickyard 400 weekend in Indianapolis. 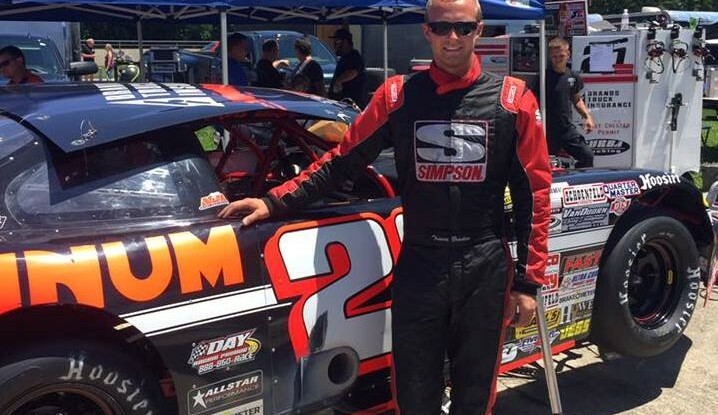 If the day went well for Cunningham Motorsports at Iowa, it certainly didn’t go as planned for local favorite Mason Mitchell Motorsports(MMM). MMM teammates Mason Mitchell, the defending race winner, and rookie Brady Boswell, both battled back from unscheduled pit stops to get what they earned – an eighth-place finish for Mitchell and a 13th for Boswell. Boswell started strong, qualifying a career-best fourth in the No. 98 Boswell Electric Chevrolet. However, Boswell cut down a left-front tire on the second lap and had to make an unscheduled pit stop under green, losing four laps in the process. “I felt like this was our best chance to have a shot at the win so far,” a disappointed Boswell said after the race. “We had our best qualifying effort and the car was dialed in for the race. Unfortunately, we hit a big piece of debris going down the backstretch on lap two. After qualifying seventh, Mitchell worked his way up to fourth before he radioed in reporting that the battery voltage was low. The team elected to change the battery under the first caution on lap 87 but lost a lap. From there, Mitchell kept himself in the hunt and got the Free Pass in the second half of the race, and battled back to an eighth-place finish, the last car on the lead lap. “This one really stings quite a bit,” Mitchell said after the race. “We put a lot of time and effort into this race every year and I felt like we had a car that could contend for the win. Unfortunately, we had to change the battery and had to fight to get back on the lead lap. Track position is so important at Iowa and we just ran out of time. Ranier Racing with MDM fared well at Iowa Speedway finishing second and third with Kyle Benjamin and Harrison Burton, respectively. Benjamin earned his second career Menards Pole presented by Ansell and led the first 41 laps in his No. 28 FEVR Chevrolet before the Easley, South Carolina driver and two-time series winner settled into a second-place finish. Burton, the son of NASCAR Sprint Cup Series driver Jeff Burton, made his ARCA debut at Iowa and learned a lot over the course of the 150-lap race. Burton had just 90 minutes in practice to figure out the track. Outside of the Snowball Derby and the Winchester 400, pit stops were also a learning experience. Normally, Burton’s dad would have been there to support his son but he was serving as an NBC commentator for the Cup race at Kentucky, which was going on at the same time. Burton also learned a lot regarding restarts. Burton’s not sure is he’ll be racing in other ARCA races in the future. Venturini Motorsports’ Dalton Sargeant finished fourth in the No. 55 Toyota Racing Development-Windows 10 Toyota, giving the Boca Raton, Florida driver his sixth top-five finish in eight starts. Sargeant finished a career-best second at Toledo and Winchester. Sargeant will again be in the 55 car at the next event on tour at Lucas Oil Raceway. The Sioux Chief PowerPEX® 200 presented by Jive marks the 12th ARCA appearance at Lucas Oil Raceway since its debut there in 1971. Former ARCA winners at LOR include Ramo Stott, Bob Schacht, Davey Allison, Ty Dillon, Frank Kimmel, Brandon Jones and last year’s winner Travis Braden. Discounted tickets for the Sioux Chief PowerPEX® 200 are on sale now at several Menards stores in Indiana. The tickets are being offered at $10 off the gate price, and can be purchased up through July 21. Indiana stores slated to sell the discount tickets include locations in Anderson, Avon, Bloomington, Camby, Carmel, Columbus, Fishers, Fort Wayne East, Fort Wayne South, Fort Wayne West, Greenwood, Indy East, Indy South, Kokomo, Lafayette South, Lebanon, Muncie, Richmond, Terre Haute and West Lafayette. There are two practice sessions for the Sioux Chief PowerPEX® 200 from 1:35 – 2:20, followed by final practice from 3:00 – 3:45. Menards Pole Qualifying presented by Ansell is at 5:30. Pre-race ceremonies and driver introductions begin at 8:30 with the green flag waving just after 9:00. The Sioux Chief PowerPEX® 200 is live on FS1. ARCAracing.com will feature live timing and scoring and live chat of all ARCA Racing Series on-track activities.